Congratulations to "Debbie R.", the winner in Candace's giveaway. Thank you to all who participated! We’ve all lost something. A loved one, a job, our good health, a firm grip on sanity . . . maybe we’ve even lost our very hope at some point. In my long career as an ER nurse, I saw the effects of loss on a daily basis. In April of 1997 it became far more personal. The lead up to that dark day was a pile-on of losses, an 18 month stretch of bad-sad-ugly, including: an unexpected end to a 23-year marriage, followed by the devastating northern California floods of 1997 that swept that this newly single parent into evacuation. My life was fast becoming a bad country song; the equestrian accident sealed the deal. Green horse, reckless rider, big pile-driving slam headfirst into the dirt. I ended up in my own trauma room with seven fractured ribs, a bleeding lung, back fractures . . . and a broken neck. With a spinal cord injury that caused weakness in my dominant arm—and threatened my nursing career. Talk about a blow to hope. BUT, in the end, I found much more than I lost. Faith, new love, and a writing career—when the story of my accident appeared in “Chicken Soup for the Nurse’s Soul,” and became my first published work. In my newest release, Rescue Team, I explore the concept of lost and found on many levels. Tired of running from her past, nurse Kate Callison intends to become Austin Grace Hospital’s permanent ER director and make Texas her home. Despite staff friction, she’s moving ahead. Then unthinkable tragedy wraps the ER in crime tape, brings swarms of media, legal chaos . . . and a search-and-rescue hero who seems determined to meddle in her life. For Wes Tanner, nothing beats finding someone who’s lost; he’s known that helpless terror firsthand. That’s why he’s determined to extend a lifeline of hope to others as a search-and-rescue volunteer. He’s ready for anything—except Austin Grace’s prickly and dismissive ER director. As Kate and Wes discover more about each other, new respect becomes something deeper. Kate wonders if her heart might finally have found a home. But when a startling missing person’s case unearths secrets and opens old wounds, she fears that all they’ve found will just as quickly be lost. Kate looked toward the doors to the ER. The man in the denim jacket was standing there, using his cell phone. He glanced up as they approached. Lost and found . . .
Is it possible that losing something can help you find what’s been missing all along? What do you think? Giveaway—Thank you so much to Just Romantic Suspense for having me here today. I will be giving away a signed copy of Rescue Team to one commenter. Please include your e-mail address with your comment. The winner will be announced May 13th. Thank you for stopping by! To find out more about me and my exciting medical fiction, visit my website, Facebook page, and my blog Authors’ Galley. Giveaway ends 11:59pm EST May 12th. Please supply your email in the post. You may use spaces or full text for security. (ex. jsmith at gmail dot com) If you do not wish to supply your email, or have trouble posting, please email maureen@justromanticsuspense.com with a subject title of JRS GIVEAWAY to be entered in the current giveaway. US and CANADA postal addresses only. Congrats Candace! Your a new author to me and after reading about your new book release, I will definitely have to read it. I love romantic suspense with happy endings. Thanks for sharing with us. christyam2005@yahoo.com is my email Thanks again. I love how you are always interacting and sharing with. your readers. I thoroughly enjoy your books. I have listed you as one of my favorite authors when I tell my friends who I read. I just realized why one of your characters sounded so authentic. She sort of experienced what you did. Keep on writing such great books. I've read every one of your books, and loved them all! I can't wait to read your new release, it looks amazing! Wow, great post! My daughter reads Candace's books, and loves them! I'm entering for her. Thanks for the chance to win! How fun! I've heard Candace's books are amazing! I have not had the pleasure of reading your books yet, but you have really caught my attention with your post about yourself and your book. I think the trials in life can show us something that we did not notice or was not aware of that was missing... see if we have the strength to try a new path... thanks for sharing! So great to see many new (to me) folks here: I would be completely honored to have y'all "scrub in" with my hopeful medical fiction. Thank you for making me feels so welcome! Colleen C: Absolutely. Change can be scary, but I've sure found that they can lead to tremendous joy. And (smile) even novels. Thank you for leaving this thoughtful comment. It is very possible that losing something does make one realize what he/she is really missing all along. I did lose a certain item that made me realize what is important at the end of the day. Of course, I was upset and mad at myself for losing it(after all, I flew several thousand of miles just to buy this particular item). After I got through my anger, I realize that the universe is trying to tell me something. It made me put things in perspective of what is really important to me. I wouldn't have realized it if I didn't go through this journey. Rescue Team sounds like a must read. Yes, we have all lost something that was important to us at the time. Yes, undoubtedly, losing something can make you realize what is important and what you may have been looking for all along. Whether its something big or small, it all helps to let you know what you need as opposed to what you want. 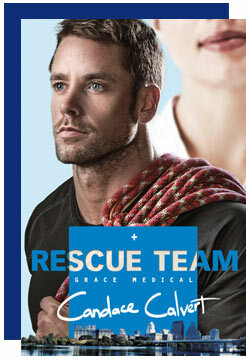 I look forward to reading Rescue Team! Candace, thank you for sharing some of your story with us. It's easy to see that you 'write what you know' and it sounds pretty darn interesting! I do think that losing something can help you see what's been missing; it's like something becomes clearer because it isn't 'hidden' anymore. But I would be hard pressed to say if it has happened to me!! Can't wait to read Rescue Team.